or via email that it is always wonderful to put names with faces. We feel confident that with these young people leading the way, our Tribe has a bright future ahead. 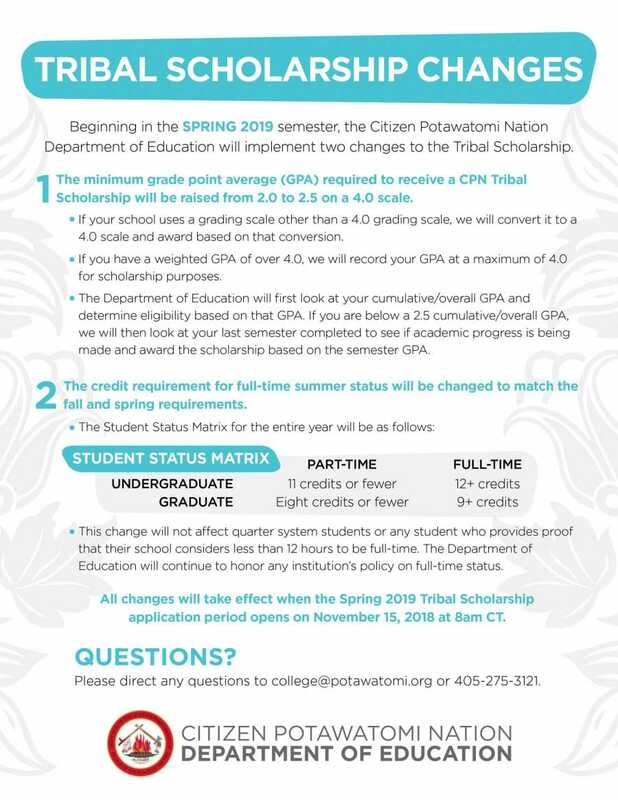 As we wrap up summer and head into the new school year, we are excited to share a few changes to the Tribal scholarship that will help us continue to serve as many students as possible. All of these changes will go into effect starting spring 2019. If you have any questions or concerns how these changes will affect you, please do not hesitate to reach out to us via email at college@potawatomi.org or via telephone at 405-275-3121.